I am an organizer and I want to help you organize rooms, closets, office space, your pantry, or your busy schedule. Organization is a part of my DNA, no different than my brown eyes or the texture of my hair. I love putting a plan into action and watching it run smoothly. Need a junk drawer to become an organized storage drawer, I can do that. Want your closet color coordinated or a pantry you can be proud of, I’m your girl. Want that pile of papers on your desk to disappear into a neat and orderly filing system that you can manage; I can do that for you as well. 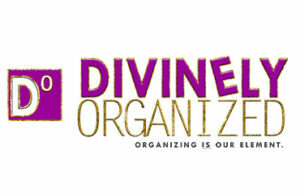 This ability has been the very vein of my existence for a very long time and led to the launch of Divinely Organized. Living an organized life is a way to clear the clutter of not only your space but your mind as well. It’s a way to quiet the clamor and distractions of “stuff”. Organization is a way to make your space a sanctuary. A space to unwind and be productive if you like, or a place to be still and at peace. There is a place for everything and I can find it. Let’s clear the clutter. The saga continues with my God-given talent or passion if you will. This passion is truly tied to my natural ability which is organization. 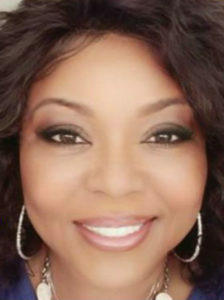 In other words, once I have organized a room, an office space, a drawer, a closet or a pantry, I want to make it attractive and I have the knack to reorganize, and redesign to make things appealing on a tight budget. There I said it. I operate within tight budget restraints. I have dubbed this my passion because I have always had to live within a budget, but I have also always wanted and created a comfortable and organized home. So for years, I found ways to do that for myself and for my family and friends on shoestring budgets. I found my niche and my love of Redesign evolved. I would love to handle a project for you from inception to completion, which would include budget shopping for you as well. I can be your one-stop shop for organization and redesign/refresh. Contact me or email me at clearissacoward@gmail.com if you like a particular idea you see here and we can bring it to life in your space. You can choose, an online consultation or an in-home visit, whichever is most convenient for you. Remember, you do not have to have a lot of money to live like you do.